I really enjoy the hunt for a new watch. The hunt I describe in this blog is a bit different than my typical hunt via eBay, vintage/antique stores and jewellers though. This hunt was through one of the many boxes of things my retired watchmaker friend gave me while he was packing up his shop. 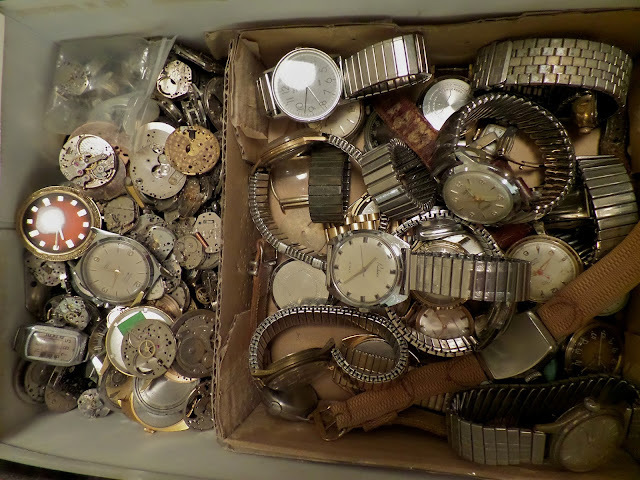 I was tinkering with watches at my bench as I usually do when I have some spare time, when I stopped and rummaged through one of those boxes. I discovered a gem in the box below. 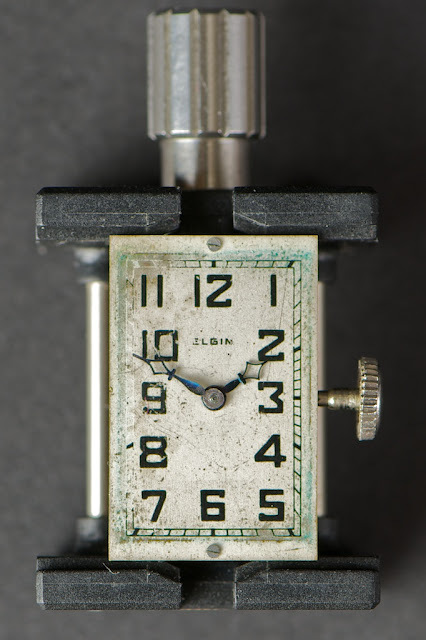 I discovered a 1932 Elgin Campus line model 936 in that box. A handsome watch featuring engraved bezel and sides and a unique bevel to the bezel. 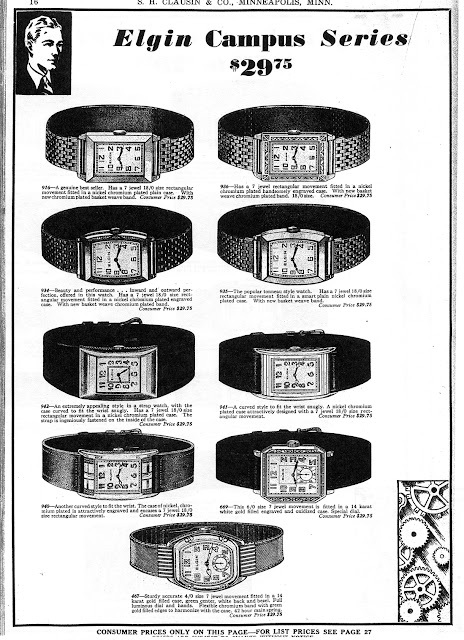 The catalog excerpt below is from 1931 but my watch movement serial number dates it to 1932. 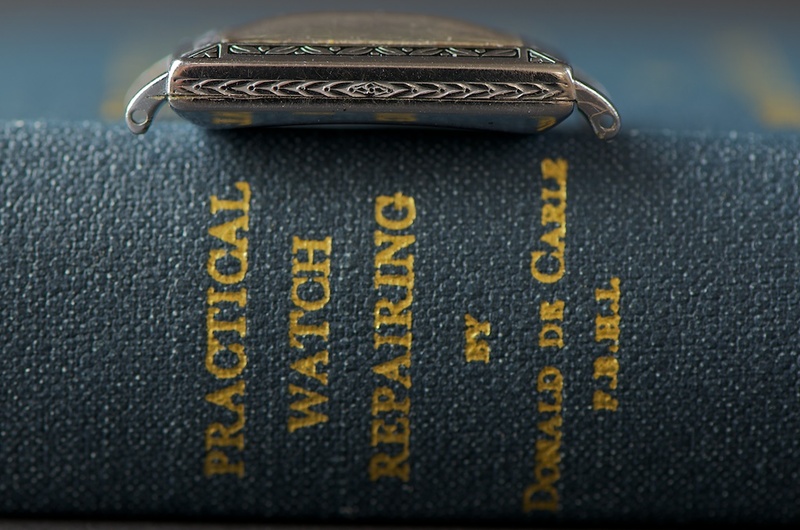 Catalog pages are a great resource to help identify watches, see how they were originally presented and learn a little more about the watch. My Elgin is presented in the catalog on a basket weave band. It would be a labour of love to hunt down an original band; perhaps I'll find one one day. In the meantime, it will likely get a nice new black leather (or lizard) band. Thanks to Vintage Watch Forums for the catalog reference. If you look closely in the picture below of the inside case back of my Elgin, you can see where a watchmaker has etched their mark, indicating a service to the watch. 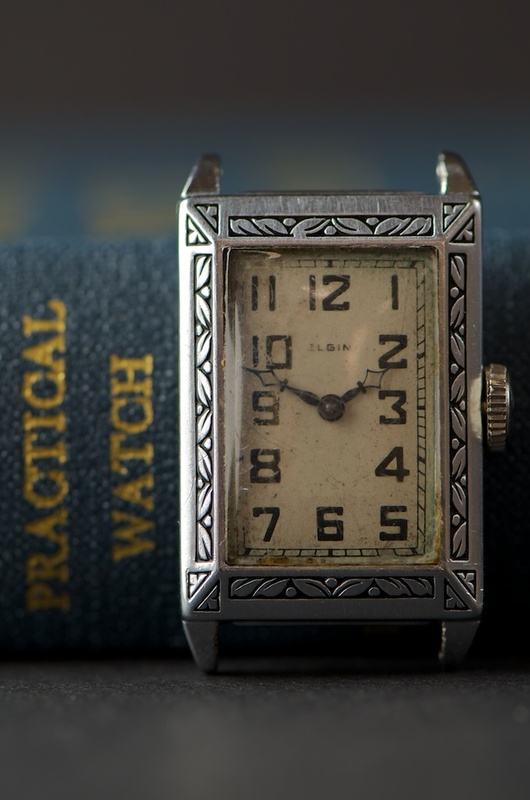 This watch has had at least one trip to the watchmaker in it's 85 year life. 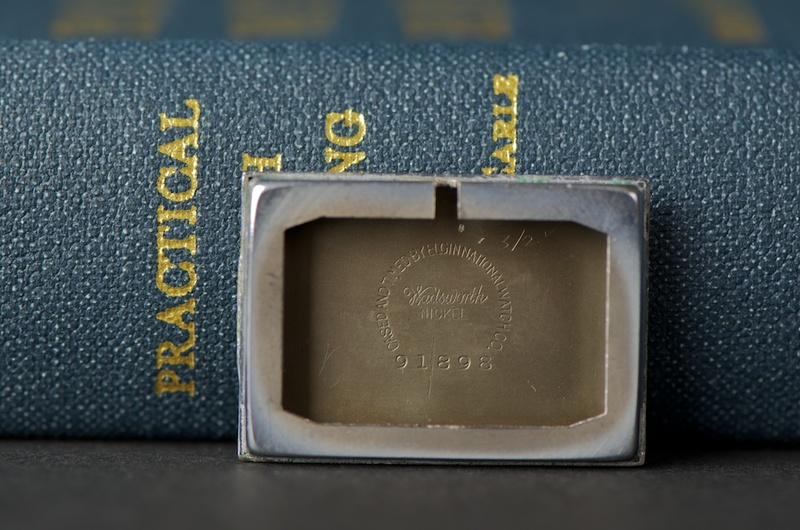 There are a number of databases that have been assembled on the internet that are the culmination of some hard work by many who have digitally cataloged original watch manufacturer's records of watch movement productions. 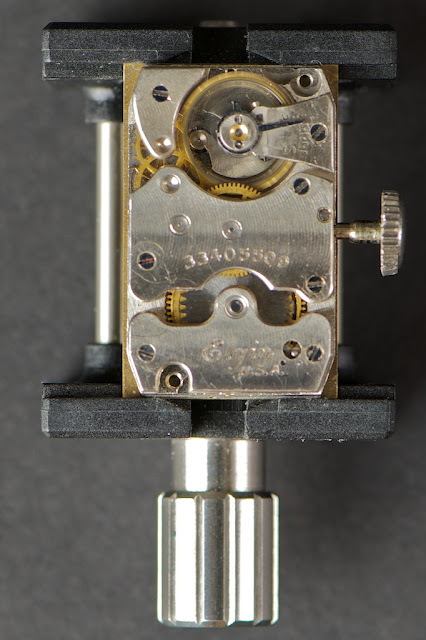 I use a number of website resources to date my watch via the watches serial number that is stamped on the movement. The engraving is still crisp and the inlay enamel intact on this watch. It will undoubtedly receive some wrist time when restored. The bezel of the watch is also uniquely bevelled giving it a unique profile. In addition to a yet to be serviced movement, the dial below is showing signs of it's age. I may decide to have it refinished but it's a toss up because when I look at the dial it does look pretty unique, age and all.